You might ask what is the point to taking photos of a Christmas tree in black and white. In this particular image, I wanted to make it blend in to the background more so we could highlight the architecture instead. Even though Christmas weddings should look festive and in the holiday spirit, I think it is also important to include some shots that are just like we would take at any time of the year. 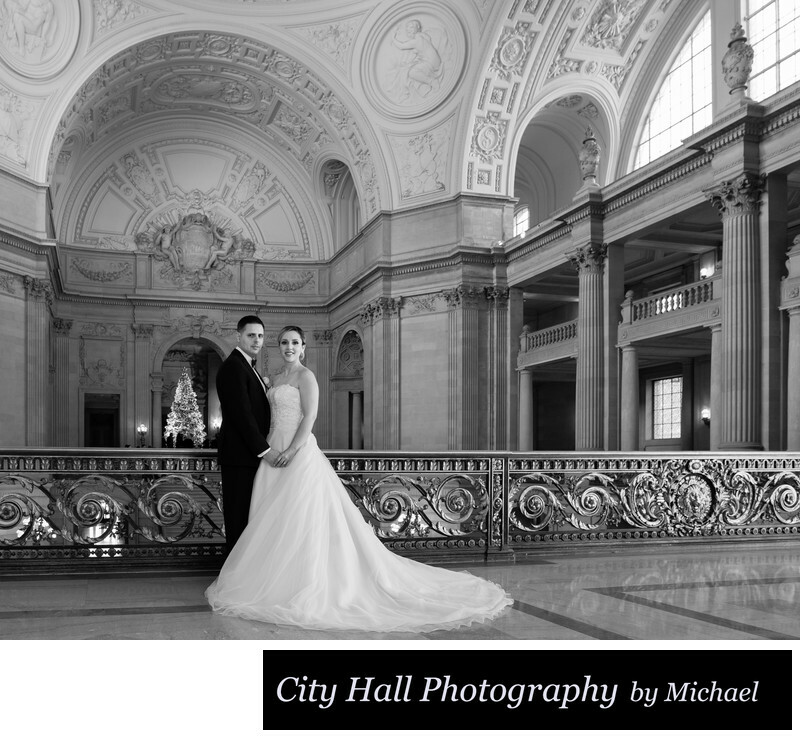 While it is true that San Francisco city hall looks amazing during the Christmas season, we also want some standard shots. In the image above the use of Black and White accomplished that for us.